Oscar and Claudio Bohórquez, violinist and cellist, joined Gustavo Beytelmann, pianist who collaborated with Astor Piazzolla from 1977, to create the Patagonia Express - a trio presenting an authentic view into the music of the most acclaimed Argentine tango composer. 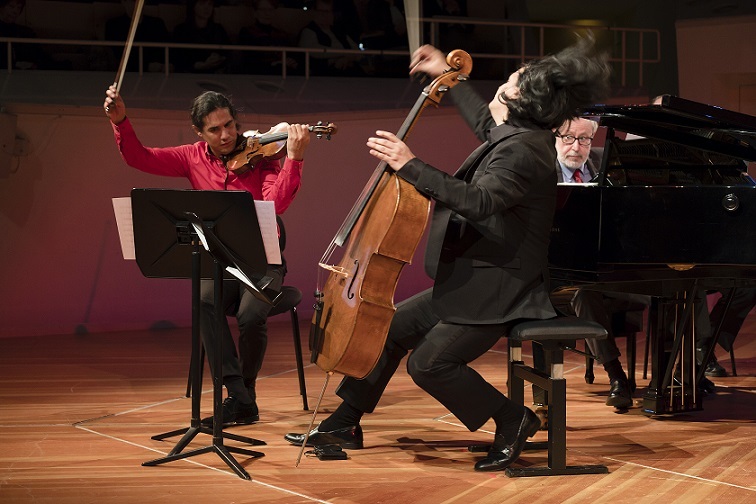 After appearing in the Philharmonie Berlin, and the Salon de Provence Music Festival, the Patagonia Express Trio recorded Tribute to Piazzolla album, to be released in Spring of 2019. Between 2019-2021 the Patagonia Express will be touring Europe with Tribute to Piazzolla program. Like Piazzolla, Gustavo Beytelmann also works as a prolific composer and arranger whose music is influenced by Tango, Jazz and Contemporary Music. Beytelmann recordings, compositions and arrangements can also be heard with the Gotan Project, Gidon Kremer and the Kremerata Baltica. Hs is also the Artistic Director of the Codarts Argentine Tango Programme at the Rotterdam University for the Arts. Oscar and Claudio Bohórquez are brothers and have already collaborated in numerous chamber and solo projects at the Alte Oper Frankfurt, the Elbphilharmonie, Gewandhaus Leipzig, Kronberg Festival, musiklandschaft Westfalen, and the Winnenden Chamber Music Festival where Claudio Bohórquez holds the position of Artistic Director. The Patagonia Express Trio started their collaboration in Berlin in 2017 where they performed at the Volksbühne/Roter Salon, and the Piano Salon Christophori. Soon after they decided to record a CD of Piazzolla‘s Four Seasons, and other well-known Piazzolla works arranged for piano trio, as well as Beytelmann’s own compositions including theOfrenda, which is an Hommage to Piazzolla composed right after Piazzolla’s passing. Contact Mikolaj Bylka-Kanecki (mikolaj@sonoramusic.eu) for more details.